Producing electricity is often a dirty and polluting affair. Here in the US most is still produced by burning coal, rather like in the 19th century. Nuclear power production is seen by some as an answer as it doesn’t throw a tone of gasses and toxins into the atmosphere and can produce an enormous amount of power in comparison to the fuel it uses. But nuclear power brings its own sets of problems, you only have to look at recent events in Japan or take a trip to Ukraine to see that. And parts of the North Sea round the British Isles are contaminated from leaks from an infamous UK nuclear power station that shall remain nameless (although like New York it too was so good they named it twice) and the unforeseeable problems involved in storing radioactive waste for tens of thousands of years to name but a few rather thorny issues. However some people that define themselves as fighting for a cleaner environmental electricity production policy, do argue that nuclear power is a move in the right direction, that alternative forms could never provide enough power to feed the planet and the very fact that nuclear power production does not create tons of carbon means it is advantageous in fighting the possible problems of global warming. There are undoubtedly advantages and disadvantages to this form of power production, but political and financial interests are also important factors to bear in mind. 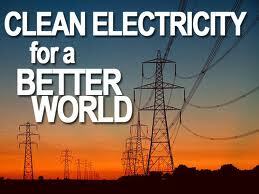 There are several other ways of producing cleaner electricity though as we know, but they too have their problems. Building a dam to use the water to drive turbines can have devastating effects on the surrounding areas. Look at the Yangtze Dam project in China and the effect of this engineering project on the people and animals that used to inhabit the newly flooded areas. Wind farms also seem a good solution but some people say they are ugly and here in Cape Cod in the US there is a large protest movement growing out of claims by people that live near wind turbines who claim health problems, stress and migraines due to the flickering effect of the blades turning in the sun. Solar panels are always sold as a good option, but they are expensive to manufacture because processed silicon is costly due to its high demand. There are also the problems of how to dispose of the panel when it is no longer efficient and the nature of the silicon purification process. In Italy farmers have taken government subsidies and covered their land with solar panels in a bid to improve profits. In some cases the panels form a sort of protection for the crops while they produce electricity, but in a lot of cases the agricultural land is just lost to a sea of silicon, causing people to complain both about the aesthetics and the land use issue. Government green incentives mean that there is no need to ask for planning permission so these ‘silicon farms’ as they are known are cropping up in some rather inopportune places (sorry, couldn’t resist the pun) and are in massive expansion as this article demonstrates. But fortunately as we would hope in a blog like this there have been some really interesting developments recently in non silicon based solar energy production that we can look at. 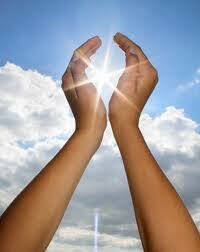 A couple of years ago researchers in Italy unveiled something called the Dye Solar Cell (DSC). It doesn’t use silicon to produce electricity but guess what? It uses vegetable dye from egg plant (aubergines). Well not being a scientist myself I thought, ‘yes, plants do photosynthesis don’t they, why didn’t I think of that?’, and I wasn’t far wrong. The cells don’t have the same productive power so the area needs to be bigger to produce the same amount of power but they are incomparably cheaper and greener. Ideal for use for example on large low buildings such as barns or industrial units that can have the entire roof covered in vegetable cells and produce the electricity the occupants require for free. Good news. But what if you haven’t got a huge roof? Well an Austrian company called Bleiner AG has developed a type of paint called Photon Inside that has the same capability. It has to be applied in a few coats and cost more than standard paint but a 50 square metre wall generates 3 Kw of electricity. It was developed for use on sailing boats so that they could operate a radio and radar while out at sea. Sorry but the only articles I can find online are in Italian. Konarka is an interesting American company who have developed a power generating plastic. It can be made very thin and comes in a roll that you just cut to size, stick on your Venetian blinds or any other surface that takes a lot of sun and away you go. They also sell Power Fibre, as you would imagine it is a thread that you can weave, so you can make textiles that produce energy and can be made into clothes. I like this idea, you could buy a computer case that charges the computer using sunlight as you walk to work. At the Massachusetts Institute of Technology (MIT) they have recently unveiled their ability to print solar panels on to paper. A great breakthrough as it makes the technology easy to transport and place in position but also cheap and hardwearing (you can laminate it). Research at the University of Verona in Italy goes one step further, they are developing completely transparent thin sheets of solar panels that you can attach to the window and look through. These final applications described above really take solar electric production to a higher level, as practically any surface can be used to produce electricity. The breakthrough here is in the technology required to transport the current more than its production, as attaching the diodes has long been the most difficult part of thin surface electricity production as they tend to come off with any movement in the surface. Using the sea is also an option. Off the UK there is the giant Sea Snake trial taking place as well as the Oyster wave generator installation, and in the US buoys have been developed that generate electricity from their constant up and down motion, easy to place and a help rather than a hindrance to shipping. As Christopher pointed out in a recent post, global warming is a real and serious problem and electricity production could be a major element in pollutant gas production, but as I hope to have shown above there are many interesting developments if we allow ourselves a slightly different point of view on electricity management. A less centralized way of thinking and we could produce a lot of the electricity we need in situ, using our own buildings as power plants. I have written more extensively on this problem on the Bassetti Foundation website and there are also various related articles about renewable energy sources and the problems involved in their use. Next week I will have a look at possible engineering solutions for the problematic issue of global warming. Can We Improve the Health of the Planet? A Series. A couple of weeks ago I read Christopher’s article on this blog entitled ‘We Need to Act on Climate Change For The Sake Of Others’ and it started me thinking about green technology. 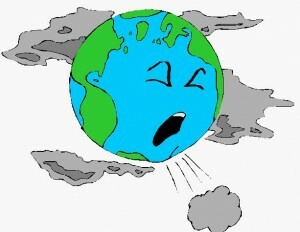 Scientists are in general agreement that the Earth is warming, there is plenty of debate as to why however. A large proportion claims that this warming factor is caused (or at least worsened) by human actions such as burning fossil fuels and deforestation. Members of this group therefore believe that we need to produce energy without burning fossil fuels and that we should take other steps to avoid releasing carbon into the atmosphere such as stopping deforestation (incidentally this is cause number 1, burning fossil fuels is secondary in comparison). I should say I count myself amongst them. Every Thursday over the next month or so I am going to post one of a series of articles that will look at different aspects of these problems. I want to propose an argument that I borrow from the sociological study of science and is directly drawn from an economic analysis. It is simple, and should be borne in mind when reading the posts. When we think about costs we only think about money. How much for example does a litre of petrol cost? Or a flight to Boston from London? “Oh $3.50 a litre” or “$1200 dollars” we might say. But this excludes social and environmental costs that should be added on, a bit like governments add on VAT. The real cost of my litre of petrol should include various other factors. How did the raw materials come out of the ground? Did the company leave a mess and pollute the local drinking water in the process? How was it refined, and transported? How much did the local people who live nearby suffer or benefit from its production? And finally how much pollution will it cause when I burn it? And here we have a sliding scale, LPG is environmentally less damaging and therefore environmentally cheaper than petrol. By this logic natural gas might be cheaper than wood to heat your house too (unless produced through fracking some would argue), and taking the train might be cheaper than taking the bus. I hope this is a little clearer than a bland phrase about ‘going green’ and offers a slightly more defined point of view. I hope to present you with some interesting new technologies that really offer a much ‘greener’ future, as well as looking at some of the ways that different institutions view and approach the problems that I will address. I am certainly not pessimistic about the future but I don’t believe that ‘technology will save the day’ on its own, but a little thought and a few small actions from a lot a people can make an enormous difference (as someone once said). I hope you will follow and comment, and don’t hold back on your criticisms, that is what I am here for. 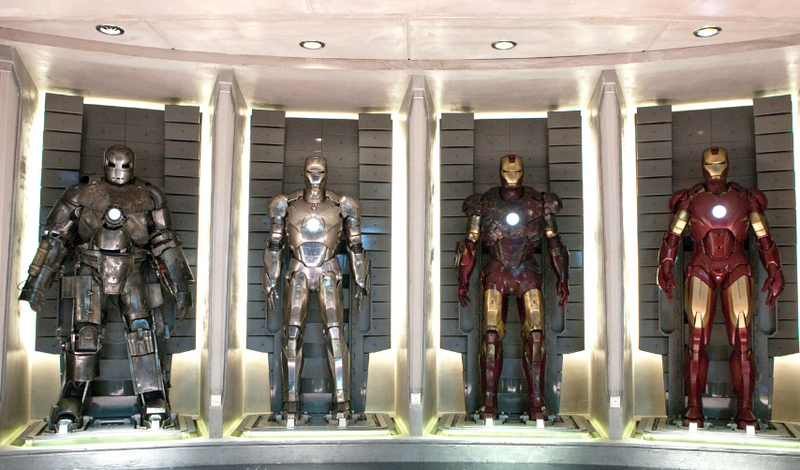 Are bionic suits a thing of fantasy or the future? 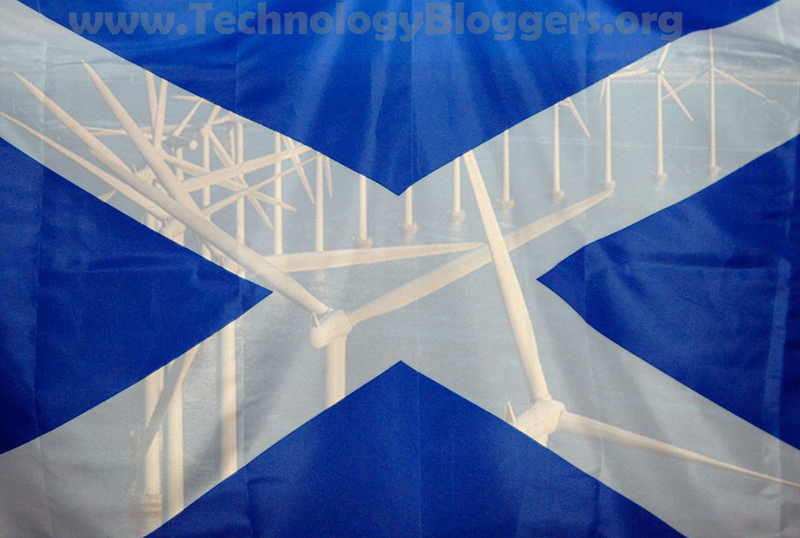 This is Technology Bloggers 100th article! Well done and thank you to our 16 fantastic writers who have made this possible. Also thanks to all our readers and commenters for your support. So, to the article! 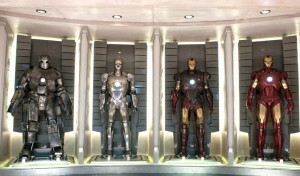 Everyone has heard of Iron Man – well I would think they have. The idea that such a suit could become a reality, is well… fiction. Until now! A technology company called Raytheon has developed an exoskeleton, designed to effectively act as a bionic/robotic suit. 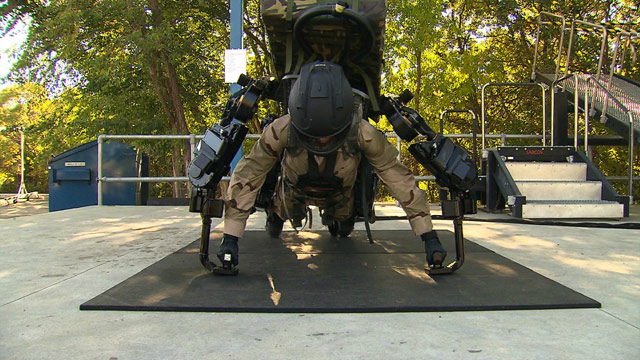 The suit is designed to perfectly mimic and aid human actions, so the wearer can feel normal whilst performing tasks that they could never achieve without the aid of the suit. One way of thinking about how it feels is to think of the power steering in a car. Without the power steering it can be really tough to turn the wheel, activate the power steering however and the car still feels normal and responds in the same way, the difference is, minimal effort is required to do a rather demanding task. Performing everyday tasks is easy when wearing a bionic exoskeleton! The suite has the potential to be fitted with some sort of amour plating, to protect the individual form attack – assuming it were to be used in a war-zone, and not in industry! D3O could actually make it a pretty invincible suit! The suite can help the wearer lift up to 17 times what they could normally life, making tasks 17 times easier! A massive positive is that it doesn’t restrict the wearers range of motion, meaning that they can more freely and normally. There is a problem though. The suit has to be attached to an external power source, as it guzzles power like crazy. Current batteries are either too weak, or too dangerous. For example, lithium-ion batteries can’t be strapped to a human, as they are prone to explosion if they get damaged! A lack of power makes the suit extremely heavy, meaning that every movement becomes more difficult. This means that if there is a loss of power, the suit is hindering, rather than helping the occupant. If you want to know more about this super cool invention read CNN’s article about it. Can green technology help us get out of the red? Most people know that the world has recently emerged from an economic recession. Many people also know that we are all dangerously close to slipping back in, and are replying on governments around the world to keep us in the black. However, has anyone thought about green technology as a way of helping steer an economy back to growth and prosper? Well it would appear that Scotland might be doing just that, as they are trying to encourage as many as 600 companies to move into the ‘green economy’ in order to boost profitability. The green economy consists mainly of renewable energy sources, and low-carbon technologies. Scotland seem to have recognised that there could soon be big money in this industry, hence the drive towards getting more firms into the industry. In its attempts to become the industry leader in green technology, Scotland’s Finance Secretary, John Swinney has said that he wants to increase exports 50% by 2017 and encourage inward investment in green and low-carbon technologies. Unemployment seems to be a problem everywhere at the moment, but Mr Swinney’s new ‘green growth’ plans are likely to create around 130,000 jobs by the year 2020. What do you think, is Scotland taking a step in the right direction by investing in green technologies, or is is a risky option to take given the current global economic climate?